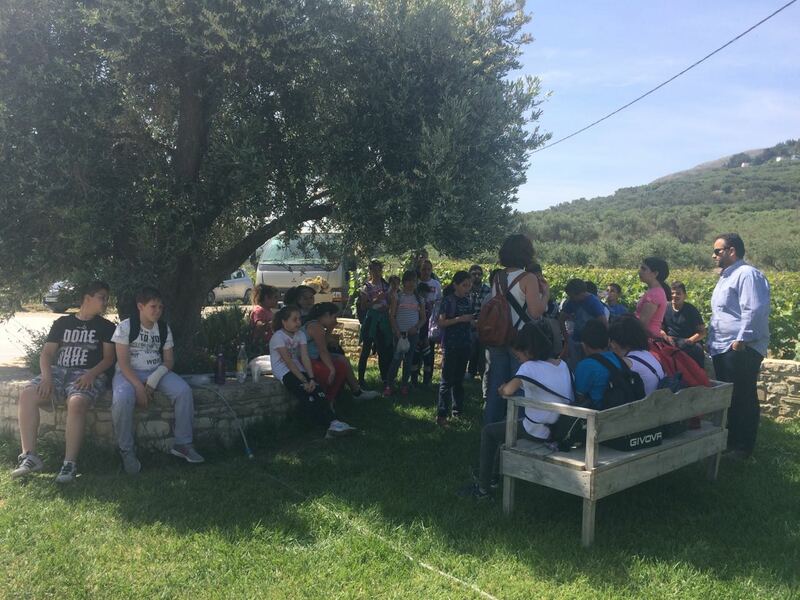 On Thursday, April 19, 2018, the students of Primary school of Kato Assites village had the opportunity to visit Diamantakis winery accompanied by their teachers and learn about wine and winemaking. 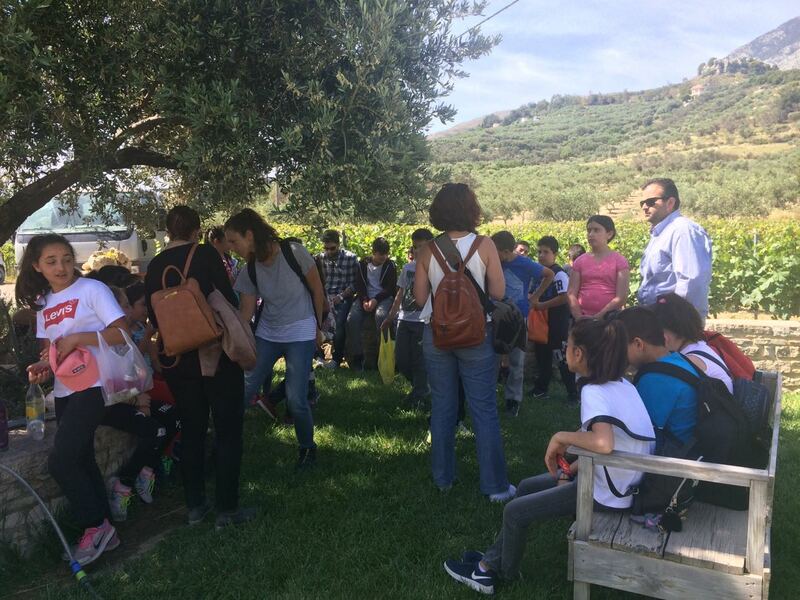 The oenologist and winemaker, Zacharias Diamantakis welcomed the students and teachers to the winery, on the background of the vineyards, and talked to them about the history of the winery and the process of winemaking and wine production. 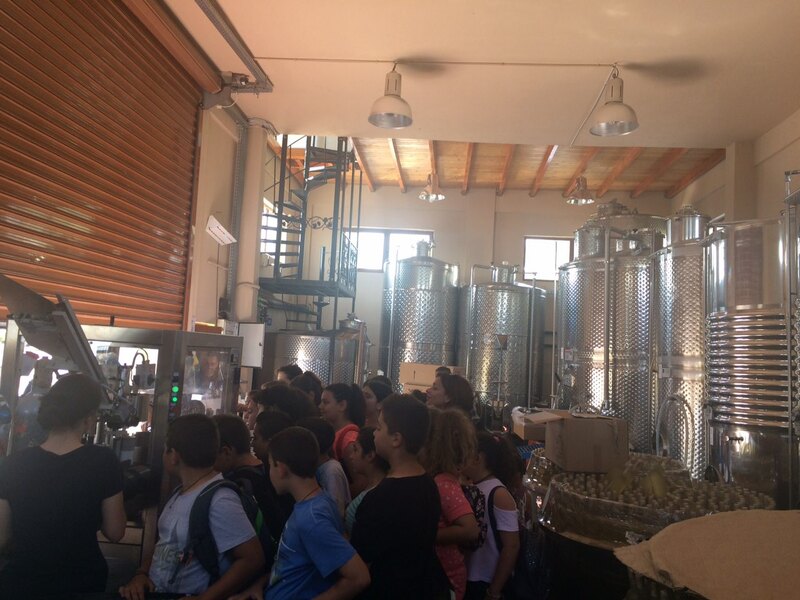 The students were guided around the winery and watched live the bottling process.